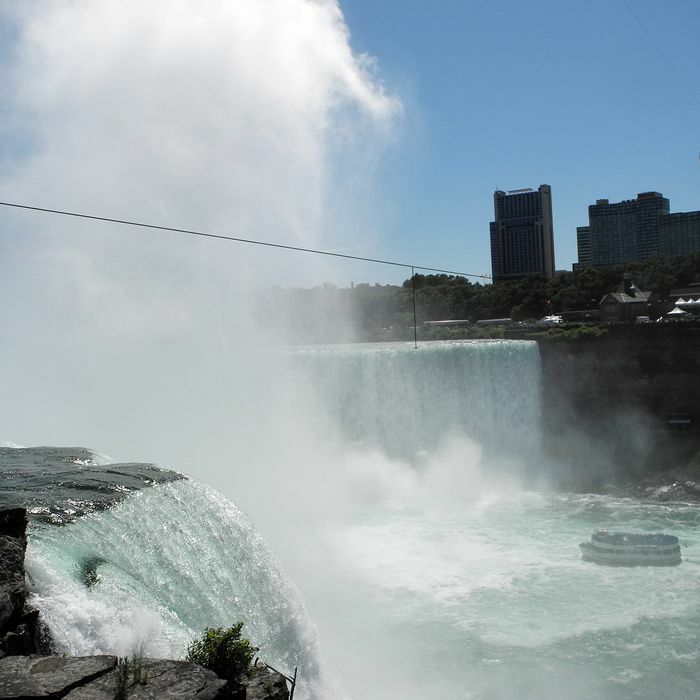 Aren’t You Bummed Out That Niagara Falls Tightrope Walker Nik Wallenda Won’t Plummet to His Death Tonight? Before a live ABC audience tonight, Nik Wallenda will battle darkness and wind and rain as he attempts to traverse 1,550-feet of Niagara Falls on a tightrope, the first time the stunt has been attempted in over a century. Thanks to a mandatory-no-ifs-ands-or-buts safety harness, though, one thing he doesn’t have to worry about is dying. As the Times explains, “The Disney Corporation, which owns ABC, does not want a man to fall to his death on live television.” That would not be a very “Disney” thing to happen. And yet, absent the threat of mortal danger, the stunt just doesn’t have the same appeal, one man tells the Times. Gil Olsen, a 39-year-old from Colchester, Conn., said the harness would lessen the accomplishment. We sympathize with Gil, though. Once you bring a harness into the equation, the stakes are no longer whether Wallenda will live or die, but whether he’ll succeed or fail at performing a very tricky balancing act. It’s like going to the circus. While ABC officials say the deal they have with Wallenda mandates he wears the tether for the entire walk, one of his lawyers said the daredevil may have a different interpretation. Three other officials also said they believe he might detach the tether once he gets on the wire. Wooo! Take it off! That’s the first time we’ve been able to yell that in a non-perverted way.